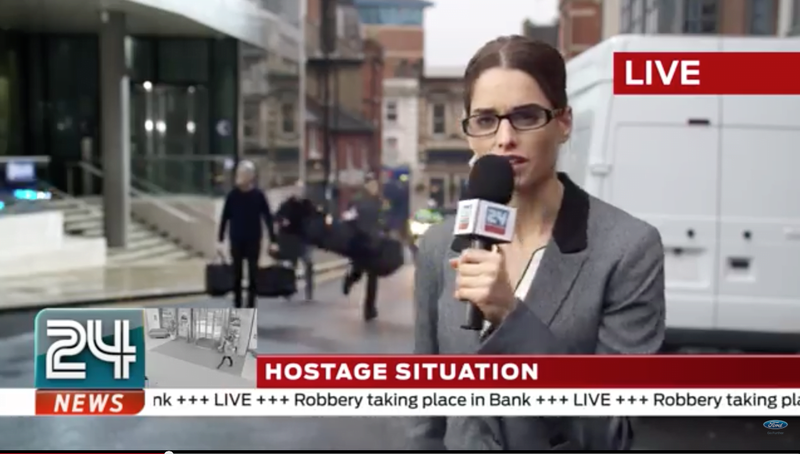 Over here, keep your eyes on the heist, as a Croydon Council building doubles for a bank being robbed in a new Ford Mondeo ad. Just moments from Croydon’s busy high street, shoppers were blissfully unaware of the masked robbers making off, with police motorbikes in hot pursuit. While they are fleeing, one robber finds himself distracted by the new Ford Mondeo, as does the news cameraman. Some clever set-dressing turned Bernard Wetherill House into a bank foyer, while a getaway vehicle sat outside on Mint Walk. Along with the locations assistance and managing some extreme lighting positions, FilmFixer, on behalf of Croydon Council, managed traffic, and arranged unit base parking. Ford Mondeo’s new campaign also filmed at Durand’s Wharf in Southwark and St John’s Square in Islington.